If you’re located in Strathfield and need a Strathfield electrician, Staywired Electrical is your number one choice! Staywired Electrical is based on the belief that our customers’ needs are of the utmost importance and our entire team is committed to meeting those needs. Our Strathfield electrician contractors offer advice and service to the commercial and domestic sector and in the areas of maintenance, service and repairs, installations and much more. With our local Strathfield electrician team, Sydney contractors are unnecessary and will reduce the amount of time you need to wait for a qualified electrician to arrive at your home or business. Staywired Electrical will fix any electrical issues you may have and hiring experienced and qualified electricians will not only save you the hassle of trying to fix it yourself, it could save your life. 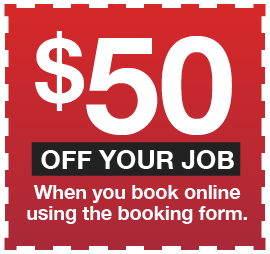 You’ll be satisfied knowing that our Strathfield electrician team will always provide on-time service, friendly, qualified and fully insured staff and a clean and tidy work location on completion of the job. Staywired Electrical are always fully stocked with a wide range of high quality components which is sure to reduce the amount of time waiting for an electrical problem to be fixed. When you lose power or detect an electrical emergency late at night, on the weekend or on a public holiday, many people will think that it’s near impossible to find an Electrician at that time. There is no need to worry when you can call a Staywired emergency Strathfield electrician. We are available 24 hours a day, 354 days a year and can be called at any time to fix any electrical problem from common faults all the way through to complex, life threatening issues. This could include anything from constant tripped switches, exposed wires, blown fuses and more unusual occurrences such as lightning strikes, weather damage or damage to electrical components by animals. Call us at any time and we will have you up and running in no time at all. 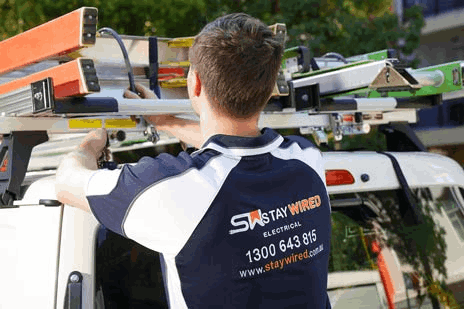 Staywired Electrical are able to provide the full range of quality, residential Strathfield electrician services. Our residential electrician Strathfield team provide a number of services including installation of lights, pool and garden lighting, dimmer switches and fans, power points and exhaust fans. We can also assist you with your major home renovation projects including electric hot water system installations, bathroom heating and lighting, home automation, security/sensor lighting and switchboard and mains upgrades. With safety as one of our highest priorities, we are more than happy to provide smoke alarm testing and installation, home safety inspections, safety switches and surge protectors. 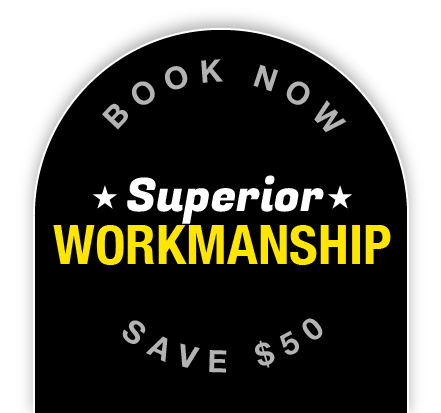 Staywired Electrical has you covered for all of your commercial Strathfield electrician needs. We provide a comprehensive list of electrical and safety related commercial electrical tasks such as electrical wiring and fit-outs for business premises, installation of lighting, power points, switchboards, interactive smartboards, data cabling and phone cabling, installation of data racks and data points. With safety as our highest priority, we also offer a full range of commercial Strathfield electrician safety services including switchboard maintenance, upgrades and replacement, emergency lighting and fault finding.